Details about 2018 TOPPS INSERTS SERIES 1,2 & UPDATE (STARS, RC, HOF) - ALL LISTED - U PICK! 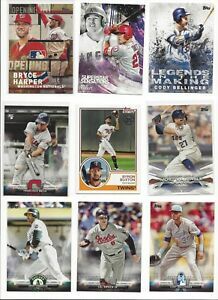 2018 TOPPS INSERTS SERIES 1,2 & UPDATE (STARS, RC, HOF) - ALL LISTED - U PICK! Thanks for a smooth transaction and prompt shipment.